Building internal links is one of those great “quick wins”. Exactly like external backlinks they help search engines know what pages are important. This way of link building is especially important for Ecommerce websites. It’s hard to get people to link to your products, so why not create your own links? Here’s some ideas you can use that will help you sell more products, help customers find the right products and build relevant (internal) links while doing it. Showing alternative products can be brilliant for your conversion. If you sell socks for example you can include a comparison table with alternatives like: a multipack, competing products and even different styles. You’ll be helping your customer find the right product and you’ll build relevant links. Alternative product options on Inktweb.nl. A private label product, a larger capacity model and a multipack in a comparison table. This is a classic. You’ve seen this before but I had to include it because its one of my favorites. Recommending related products based on data of other customers purchases. Your customer will buy more (increasing your order value) and you’ll get to promote relevant products! Like “customers also bought” is a “related products” section. Besides being easier to implement you’ll also have a lot more control over what products you recommend. A product you would like to sell can be related even if customers haven’t frequently bought it (yet). Want to build links to your category page? You’re not just limited to a breadcrumb. There is no reason not to make your product specification an anchor rich link back to the parent category. This product specification table includes a keyword rich link back to a parent page. Via Inktweb.nl. You can even take it further and suggest products in the same product family that might interest the visitor. 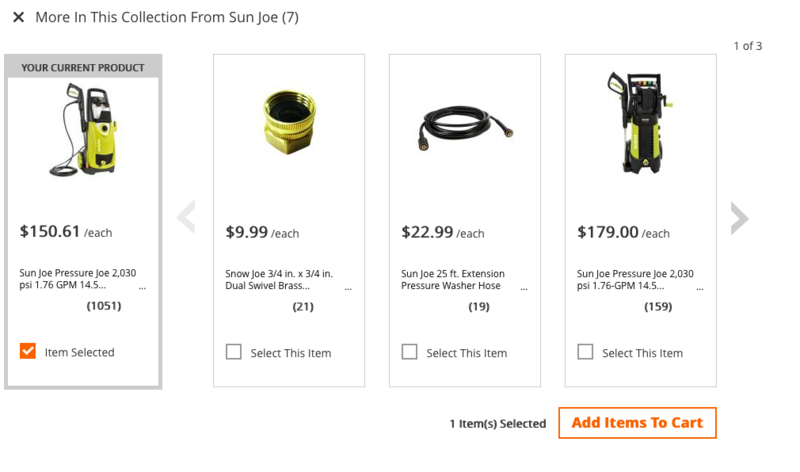 Homedepot recommends product in the same family. If a customer is looking at a tablet it’s a great idea to recommend accessories like charging cables, protective cases, keyboards and even software. You can even offer a discount as another way to up sell. 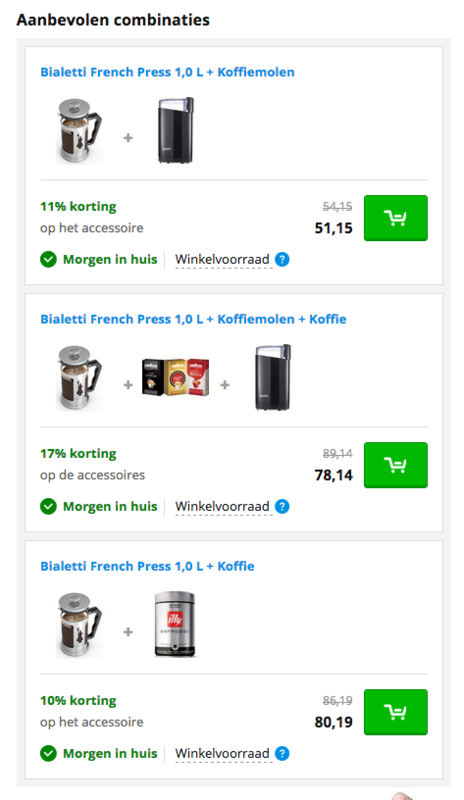 The product page for a french press recommends a grinder and different coffees. Via Coolblue. This one you have to be careful with but if done right it will be beneficial to both users and crawlers. You can add a “related searches” section with links to search results pages (or landing pages) to help visitors find related products. Related searches on Staples *. *The way Staples implemented this is too spammy. These are not things customers actually searched for but rather full product names. The idea is good: why not include a link to your landing page for queries like “medium ballpoint pens” or “bic pens”. There you have it! Some ideas to interlink your products and category pages. This will not only help your rankings but also be useful for your customers. Win-win!